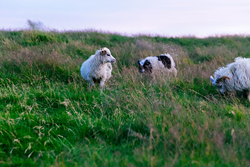 Tessa is a four-year-old Border Collie who lives on a farm where sheep are raised – ostensibly an ideal setting for a breed that excels in herding sheep. However, Tessa is not an ordinary Border Collie. As a young pup, she suffered an emotional trauma during airline travel, which made her an anxious adult. When over-stimulated, she tends to become aggressive and may even bite the sheep. Tessa’s owner, Vikki Dykstra, MA, CBCC-KA, CPDT-KA, is a leading dog trainer with over 50 years of experience, who decided not to give up on Tessa. Vikki realized that Tessa’s aggression was reactive – it appeared when she became excessively excited. She started to use a Frisbee to refocus Tessa, and help her vent her aggression through playing catch, instead of attacking sheep. Vikki uses the PetPace smart collar to monitor Tessa’s pulse rate, identifying situations when her pulse rises above a certain level. These high pulse levels are indications that Tessa is becoming overexcited, and is thus at higher risk of turning aggressive. When Vikki is alerted through the PetPace app of a high pulse rate, she intervenes and distracts Tessa by redirecting her to play Frisbee. When the pulse rate goes back down into the safe zone, Vikki lets her work with the sheep again. “The PetPace collar really improved the quality of life for Tessa. I can now take her out to pasture without a muzzle and not worry about the sheep,” said Vikki Dykstra. “This is a great tool for trainers and pet owners alike,” she concluded. 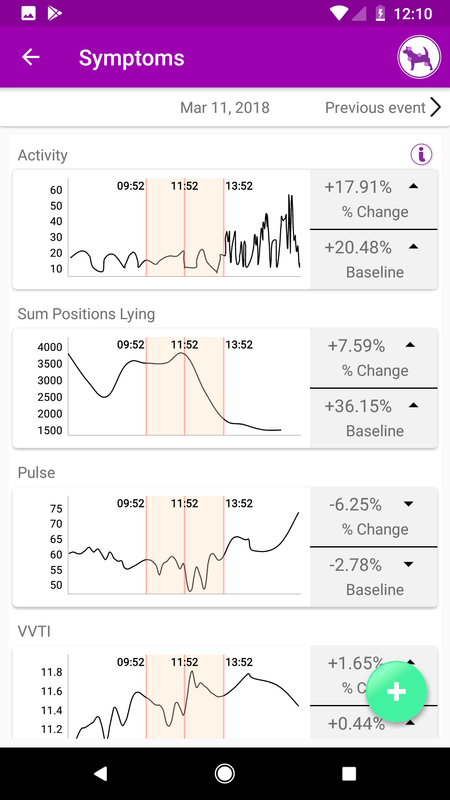 “This case demonstrates yet another possible use of instantaneous, remote pulse monitoring with the PetPace collar,” commented Dr. Asaf Dagan, DVM, Diplomate ABVP (Canine and Feline practice), and PetPace’s Chief Veterinarian. “Biometrics provide valuable information in the context of the dog’s activity that, in this case, the owner uses to effectively prevent unwanted situations,” he continued. PetPace creates innovative technology that delivers peace of mind to pet owners. Our smart IoT pet collar continuously monitors the wellbeing of elderly, sick, healthy, and at-risk dogs and cats, alerting caregivers remotely and immediately of changes in key health parameters. In the home or in the clinic, PetPace leverages data gathered non-intrusively from on-board passive sensors and advanced cloud-based analytics to keep all pets healthier and happier. Founded in 2012 and privately-held, PetPace is headquartered in Israel, has a U.S. headquarters in Burlington, MA, and a global sales presence. For more information, please visit http://www.petpace.com.